They are used to putting politicians in the hot seat, but Samuel Ndhlovu, ‘Gogo Breeze’, Martin Mwape, Gift Phiri and many other members of staff at Breeze FM have found themselves at the awkward end of the microphone recently. They have been answering questions posed by a team of academics from Zambia, Kenya and the University of Cambridge in the UK. Dr Alastair Fraser describes here why they are asking so many questions of the staff at Breeze, and some of the early findings from their recent research. After the Arab Spring, there was a great deal of excitement amongst academics about the role that the internet and ‘social media platforms’, like facebook and twitter, could play in political change. Scholars initially speculated that a sweep of ‘e-revolutions’ might spread as citizens organised themselves online, outside the control of political parties and the usual authorities, to demand an end to corruption, poverty and anti-democratic practices. But in most sub-Saharan African countries, including Zambia, fewer people have regular access to the internet than in Egypt or Syria. Organising new social movements on facebook might soon be feasible in big cities, as more and more people get online via smartphones, but in a rural context such as Eastern Province, it is not so much the internet, but two older technologies, radio and telephone, that seem likely to have the biggest impact on political participation. 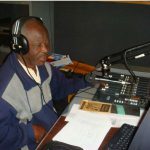 There has been a huge increase in the last decade in the number of FM radio licenses given out in Zambia, and in the geographical reach of the stations. But why might we expect any dramatic political effect? Since colonial times, radio has usually been understood by academics as a tool of the powerful – radio broadcasts were used by the colonial authorities and the independent Zambian state to inform, entertain and educate the population, but also to push propaganda and top-down development. Many forms of education on the broadcast media have involved self-appointed experts talking down to the masses about what they declared to be the correct uses of agricultural technology, preferred forms of gender and sexual relations, and how ordinary people should or shouldn’t get involved in politics. Citizens have had little opportunity to talk back, to use the radio to reply to the experts, talk to each other about the usefulness of development interventions, to communicate their own ideas, moral values and political beliefs to those in authority or to discuss which authority figures they support and respect and whose ideas and authority they no longer wish to recognise. Some stations, including Breeze, have tried for years to make broadcasting more of a conversation, encouraging their listeners to send letters, to drop in to the studio, or to have their voices recorded by reporters and used in news stories to illustrate the breadth of popular opinion on certain topics. But that all still leaves a lot of power in the hands of the journalist, to decide who gets to speak and what sorts of opinions are heard. However, dramatic increases in the ownership of mobile telephones have made a huge difference to the extent of popular participation. They allow lots of shows to be made, relatively cheaply, in which the voices of listeners are heard directly as they call or text in to express an opinion, vote in a poll, or ask a question of an invited guest. The opportunities for the participation of poor people have been noticed by Zambia’s donor agencies, who are anxious to influence policy debates and to ensure that their aid has the intended impact. They have latched on to the idea that call-in shows might enable poor people to make politicians live up to their promises, delivering books to schools, water and roads to remote communities, and better, less corrupt forms of politics. There are a lot of shows now being ‘sponsored’ by Zambian and international NGOs and government agencies who believe call-in shows will have a particular impact. However, there is very little independent research available on what this impact is. It is not obvious that all the outcomes will be positive. Alongside hopes to ‘empower the poor to demand their rights’, there is a nervousness amongst donors and the Zambian authorities that noise-makers, political entrepreneurs or bigoted callers might use call-in shows to libel each other, mobilise mobs and to promote a destabilising style of politics. There is also some anxiety in the Zambian public that the conversations they hear might not be ‘genuine’, that the elites might have found ways to dominate the conversation, for example by buying talk time for ‘serial callers’ to push party lines, or pressuring station owners to vet the calls and make sure only particular people get through. The aim of our research is to work out who controls the agenda, what type of people call, who gets to shape the conversation and what happens as a result. We are working at a range of rural and urban TV and radio stations, in Eastern, Southern and Lusaka Provinces in Zambia, as well as an equal number of stations in Kenya to give a chance to compare across different national contexts. The first stage of research involves observing, as unobtrusively as possible, what goes on in the radio stations, interviewing the staff, watching editorial meetings, perching in the corner of the studio as DJs host debates and manage switchboards. Once the ‘On Air’ light goes off, being in the studio makes it unusually easy for a researcher to grab a quick interview with the guests and politicians who have just been interviewed, asking what they made of the experience, and what they hoped to achieve from their interactions with the host, listeners and callers. We have also been carrying out research outside the stations, to understand how those in power go about canvassing for support, and how ordinary people go about making demands on the authorities – whether that is an elected politician, an official of the water company, or a traditional chief. The aim is to understand, within particular communities, what difference the presence of call-in shows makes to the way that politics and development is done. In Eastern Province we have chosen to focus on two constituencies. In Chipata Central we have studied the election of September 2011 and the by-election in 2013, to look at the way politicians used the call-in shows to argue over who should be selected for each party and then who should be elected. In Chipangali, we have also looked at party political debates, but have focused more on ‘everyday’ questions around the use of land, Constituency Development Funds and resources from national Ministries, to see whether call-in shows and news reports from the stations make a difference to the way money and land are allocated and how councillors, MPs and chiefs argue about who should claim the credit for any achievements. We have also carried out an audience survey in Chipangali to find out who is listening to the radio, which shows, hosts and topics they particularly enjoy, what encourages and discourages people from calling in and whether people think the shows have the potential to improve their lives. It’s too early yet (academics work very slowly compared to journalists!) to share too many findings, but a few things have become quite quickly clear. We can say with come certainty that the stations do not routinely vet calls – most do not have the technological capacity to see the numbers from which calls are coming, let alone to spare the staff to pre-screen calls. We can also say that political parties do sponsor certain callers, but that this is a complicated and expensive activity and their efforts are limited to election times and make little difference to the balance of calls coming through most of the time. It has also become clear from monitoring the shows that men call in much more than women, and from our survey that, irrespective of gender, the biggest blocks on participation are the limitations of phone signals in remote rural areas, and money – the poorest people may well own a phone but often say they can’t afford to spend their talk time on calling in. The really difficult job is working out whether the presence of call-in shows makes a big difference to political and developmental outcomes, and we aren’t ready to say too much about this yet, but I have been very struck by the absolute centrality of party politics. Discussions of water services, education, health and the environment (the sort of thing NGOs are keen to sponsor shows to talk about) do attract interesting calls, but the lines really go red hot when the topic is party politics. Perhaps linked to this, I’ve been surprised by the degree to which many people in Eastern Province tend to see existing political and governance systems as relatively legitimate and quite effective ways of getting their needs and voices heard. With the enormous help and guidance we have enjoyed from the staff and management at Breeze FM and other stations, our research team will keep trying to probe these subtleties, and hope that we will have something substantial to publish in 2014. In the spirit of a participatory conversation we will be sure to report these findings back to the stations and interviewees who have made our research such fun and so interesting, and to invite their comments on our findings. Dr Alastair Fraser can be contacted at af441@cam.ac.uk. He is the Philomathia Fellow in African Politics at Trinity Hall, University of Cambridge. The Politics and Interactive Media in Africa (PiMA) project (www.polis.cam.ac.uk/cghr/pima.html) is hosted by the Centre for Governance and Human Rights in the Department of Politics at Cambridge, and is a collaboration with UNZA, the Centre for Policy Dialogue in Lusaka, and the University of Nairobi. The work is funded by the Economic and Social Research Council (ESRC; http://www.esrc.ac.uk) and the Department for International Development (DFID; http://www.dfid.gov.uk).